Yellow Palimanan Sandstone Indonesia is one great Sandstone In the World. 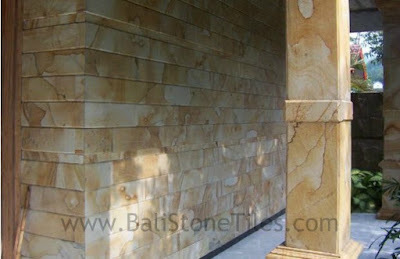 Yellow Palimanan Sandstone Tiles can found in Java, Indonesia. 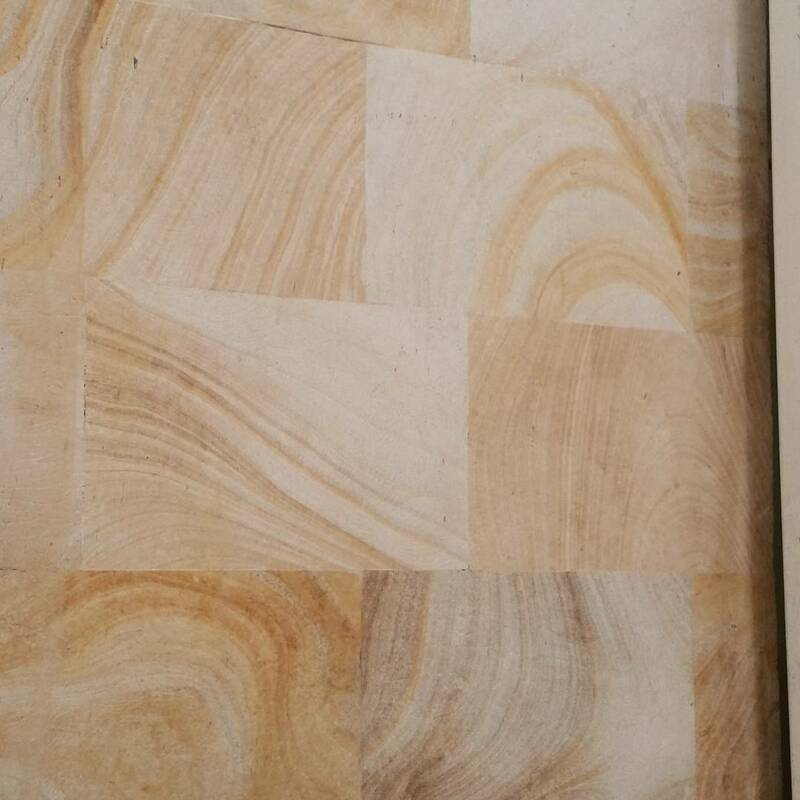 This Yellow Sandstone Tiles Form by sediment of Sandstone location. 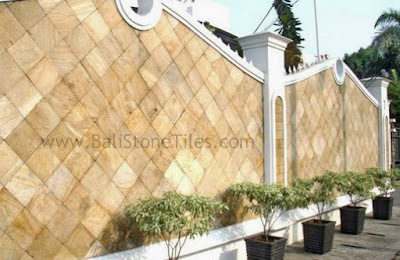 Yellow Sandstone Tiles has density likes Limestone Indonesia. Yellow sandstone tiles for Walking (Floor) need more thickness if made to Big Size. 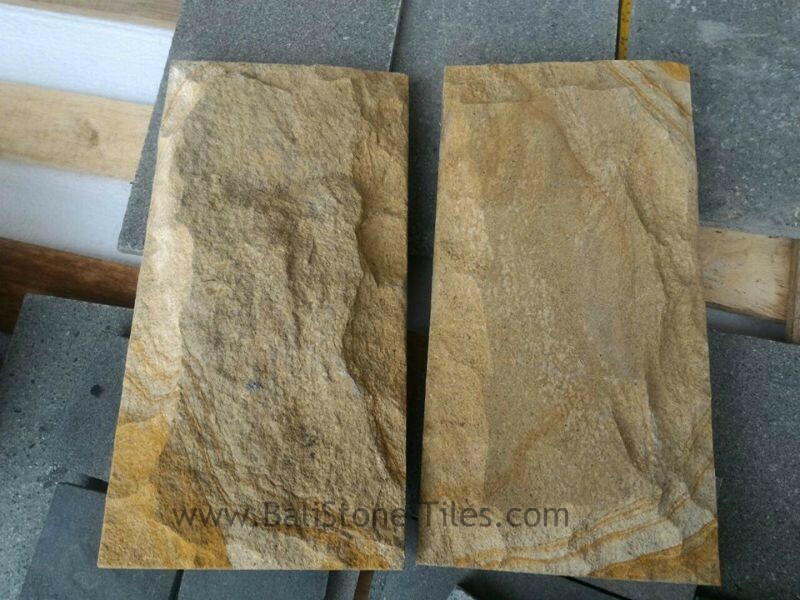 Yellow Palimanan Sandstone has more special characteristic from other Sandstone. 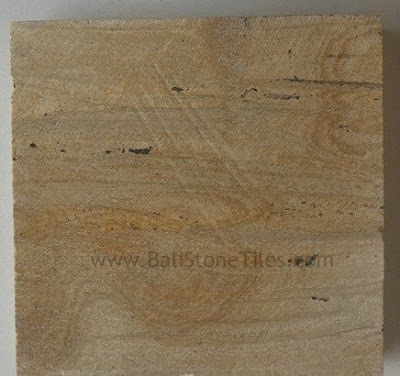 This sandstone has Yellow fiber likes Wood Fiber. 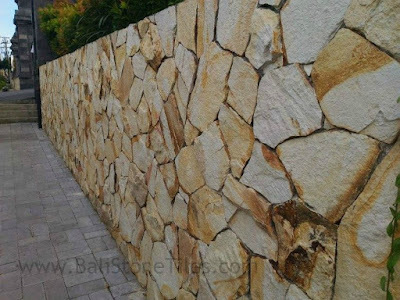 If you are using Yellow Sandstone for wall, Yellow Palimanan Sandstone made your Wall look like using Wood because the Texture with Yellow Fiber likes Wood Material. 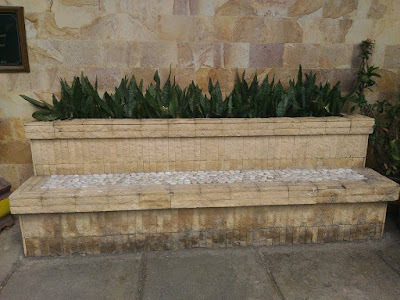 If you want great design with Wood texture, Yellow Sandstone Indonesia is great choice for your design because it can survive for long time. Yellow Palimanan sandstone can finishing to many process like Sawn Cut, Honed, Rough Face, Bullnose, Bevel, Irregular Random, etc. 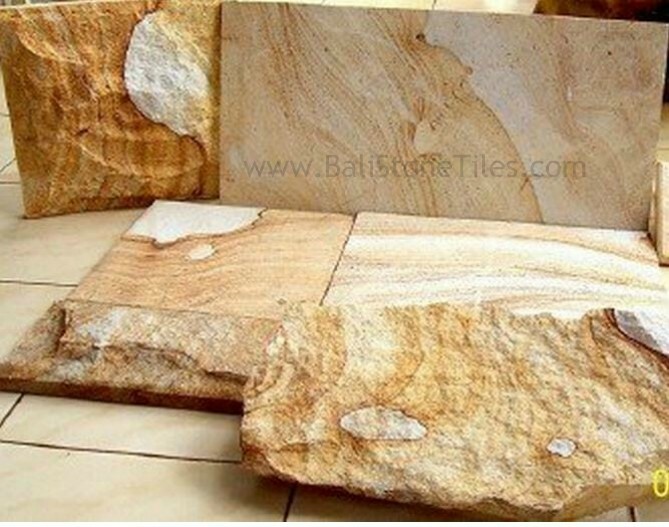 Sawn Cut Finishing is finishing made by machine cut without add other process. With Sawn Cut Finishing, The Yellow Sandstone Indonesia will get scratch by machine cut. This Finishing is not the smoothest face finishing. If you just enough with Sawn Cut Finishing, you can choose this finishing. If it is not enough you can added Honed Finishing. Honed Yellow Sandstone Tiles made the stone has smoothest Face. 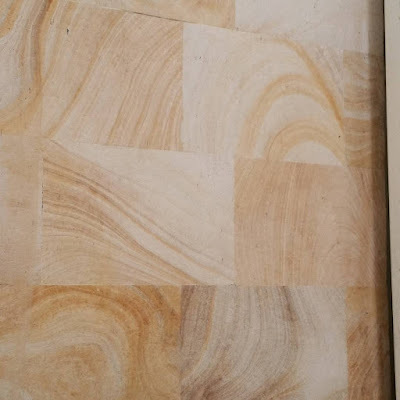 It will made Our Floor with Yellow Sandstone Honed more comfortable for visitor when not using footwear. 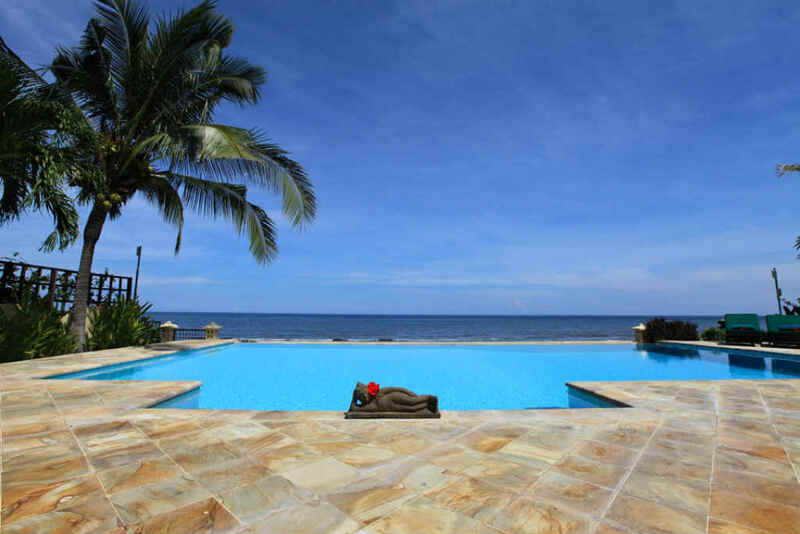 To keep more Safety when using Yellow sandstone for Pool or Wall, we can add Bullnose or Bevel Finishing. 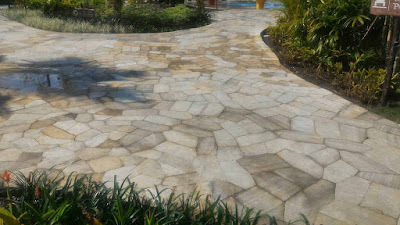 This Finishing Will made our outer side of Pool Deck or Wall has round (Bullnose) or Slope (Bevel). 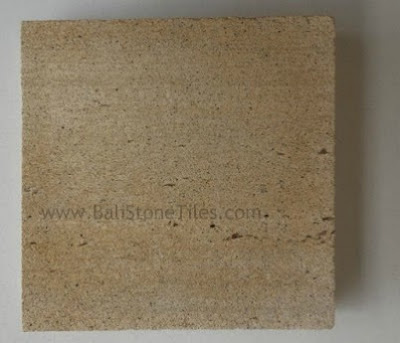 Bullnose Finishing will make Sandstone Tiles will has round in one side and Bevel make sandstone has slope side. Next, the nature Rough Face Finishing. Rough Face finishing will made your Sandstone tiles has Nature face of Sandstone Indonesia. 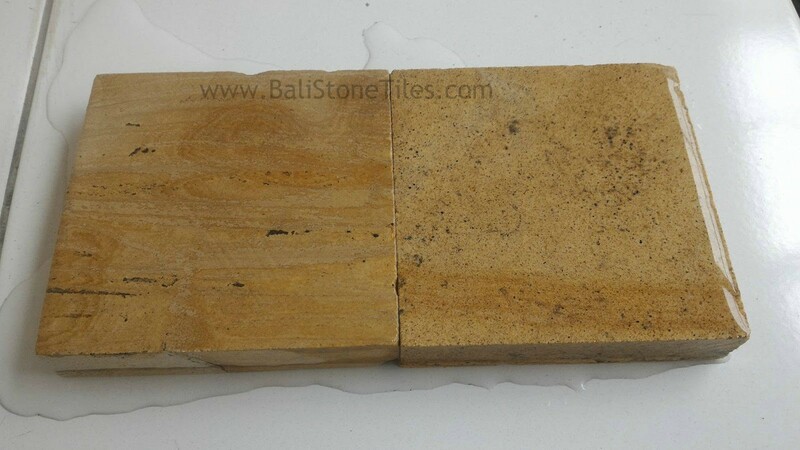 On below picture we can see sample of Rough Face finishing Yellow Sandstone Tiles. More great finishing is Irregular Finishing. With Irregular Random Finishing made your Building very impressed because has unique Natural Design. 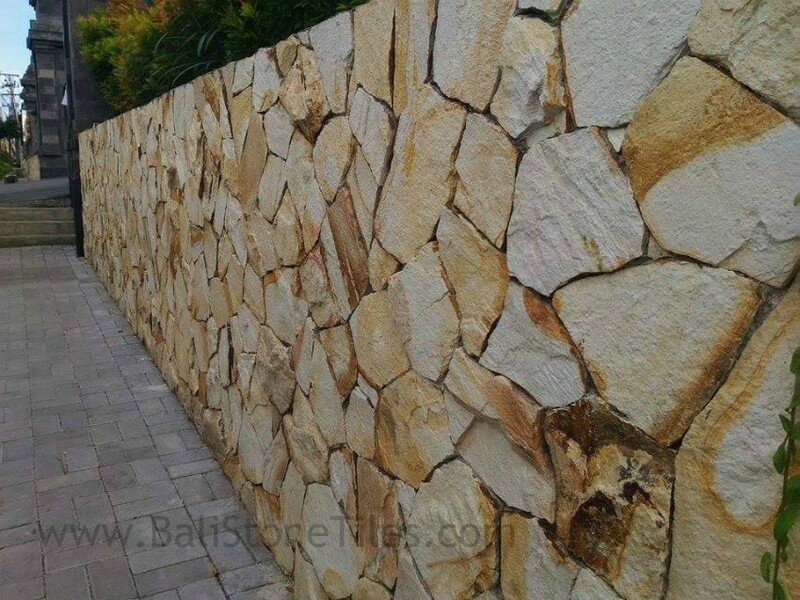 Irregular Random Yellow Palimanan Sandstone Indonesia usually used for wall. 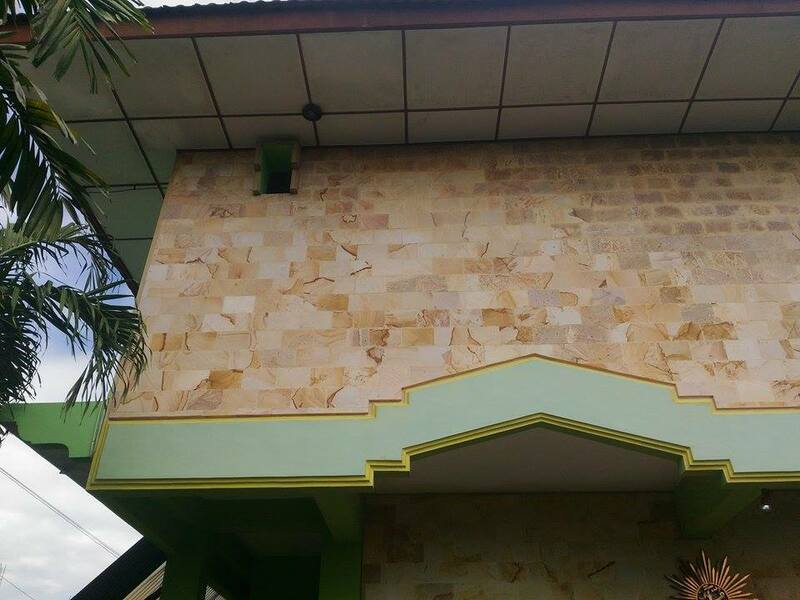 This Finishing to get more Natural size of your Wall. 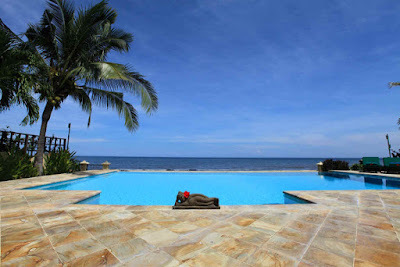 Note : For Other Size, Please Contact Us. 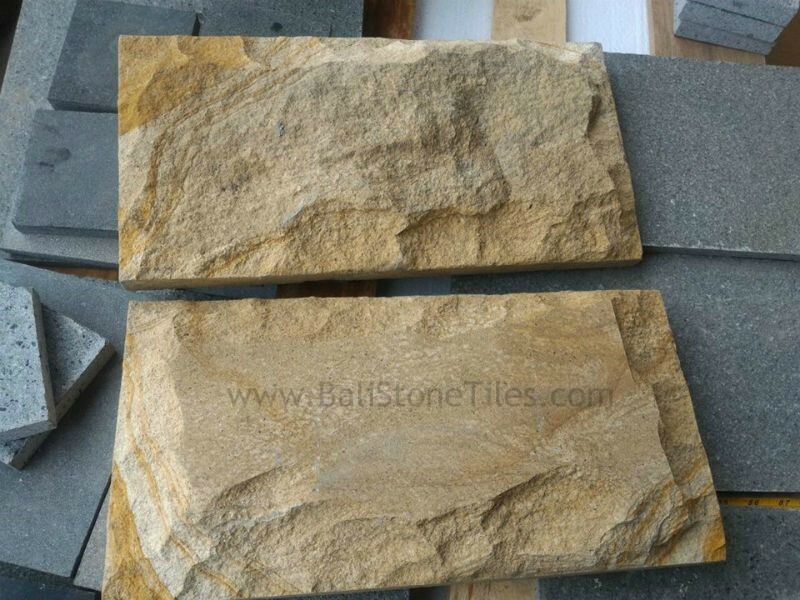 Our Yellow Sandstone Tiles Ready to produce for you Special Size.